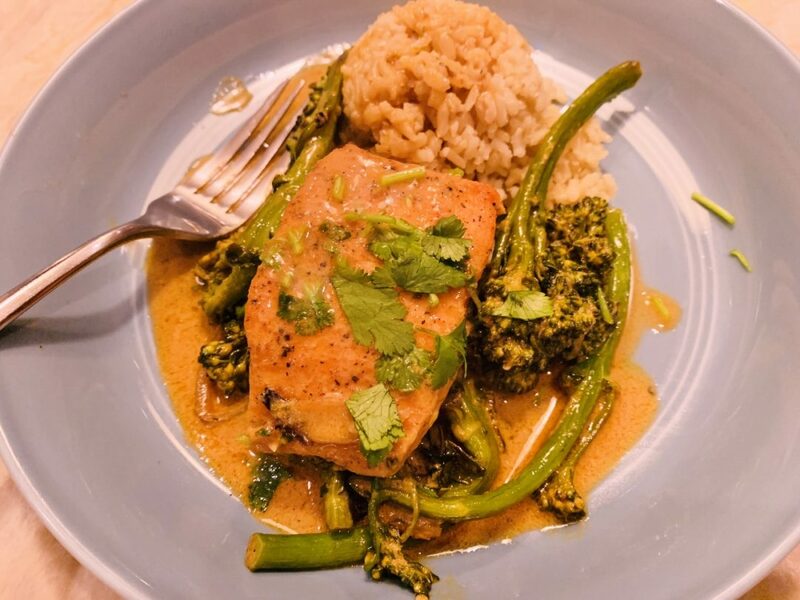 Thai Red Curry Salmon & Broccolini - Recipe! - Live. Love. Laugh. Food. I am always trying to create new salmon recipes so my family stays interested in eating this wonderful fish. 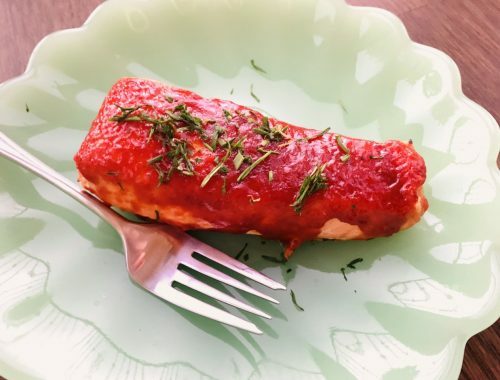 Searing or broiling salmon to create a crunchy exterior is always a good technique, especially for the picky fish-eaters because it gives it a nice crust and adding a smart sauce to the fish is a nice way to create flavor, and attract all kinds of people to your table. Good Thai food is one of those things that I think is hard to find, even in a big city like mine. The best Thai cuisine is usually in Thai Town and that’s a big haul across the city to enjoy some authentic food. 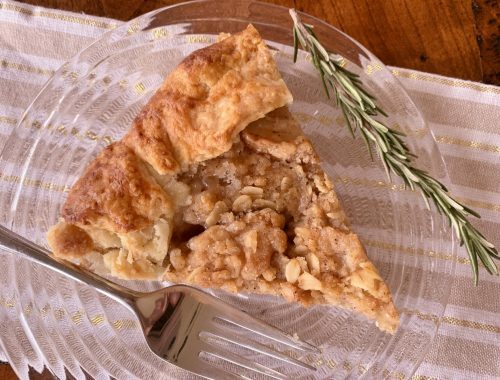 My recommendation is to make your own right at home and this recipe is a great place to start. Thai curry is much different than Indian curry. For starters, Thai curry is a little hotter, but can be tamed by coconut milk like in this recipe. Also, Thai curry doesn’t way down food as much as Indian curry sometimes does – it perks it up with an aromatic taste. While you can prepare your own Red Thai Curry Paste, I recommend you buy it at your local grocery store because it makes it simple, and the flavor blend is nice. 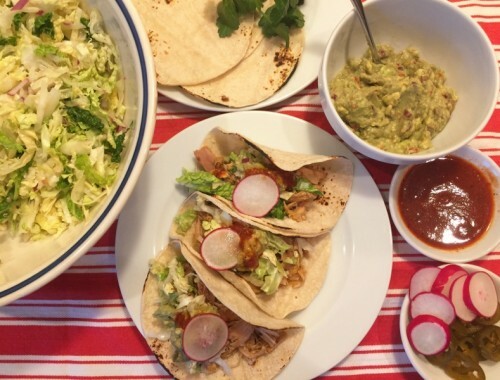 This dish is truly a crowd pleaser and super simple to prepare. You’ll have them lapping it up in minutes and I think your salmon will never taste as good as it does tonight – my family would agree. Pat fish dry with paper towel and sprinkle with salt and pepper. In a non-stick skillet, add 2 teaspoons oil and place over medium heat. Add fish flesh side down and cook for 3 minutes, flip over and cook for 3 minutes. Remove and set on a plate. Add onion, onion powder, coriander and 1 teaspoon salt to skillet and cook for 4 minutes. 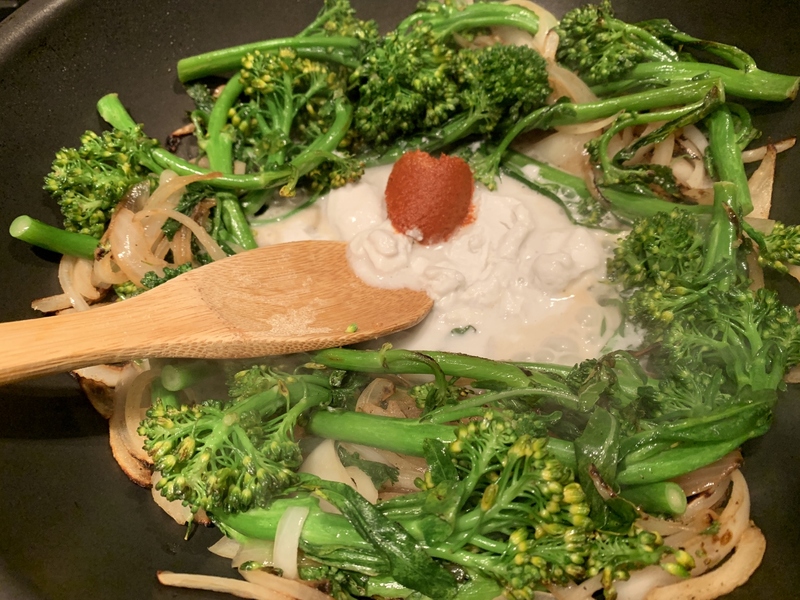 Place broccolini on top and cover with lid. Cook for 4 minutes. Remove lid and stir. Make a well in center of pan and add coconut milk and curry paste. Stir to combine. 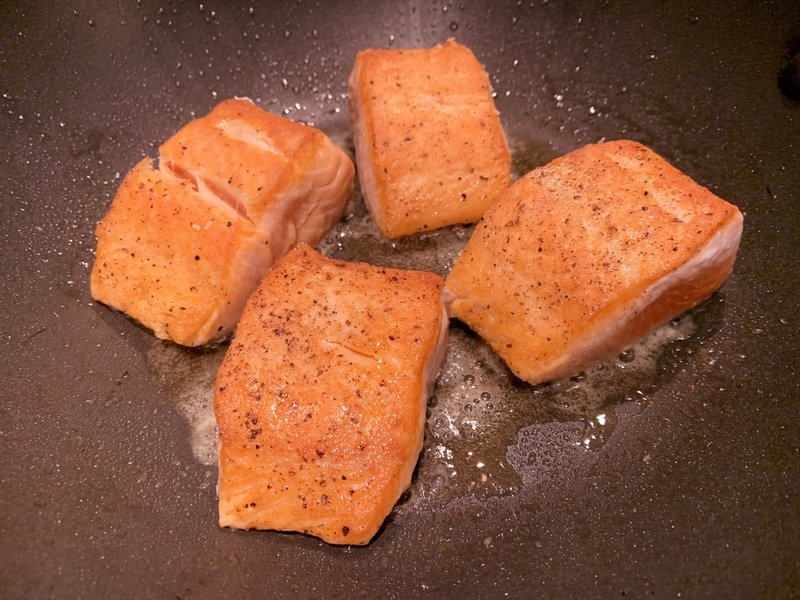 Add salmon back into skillet and cook for 3 minutes, or until desired doneness. 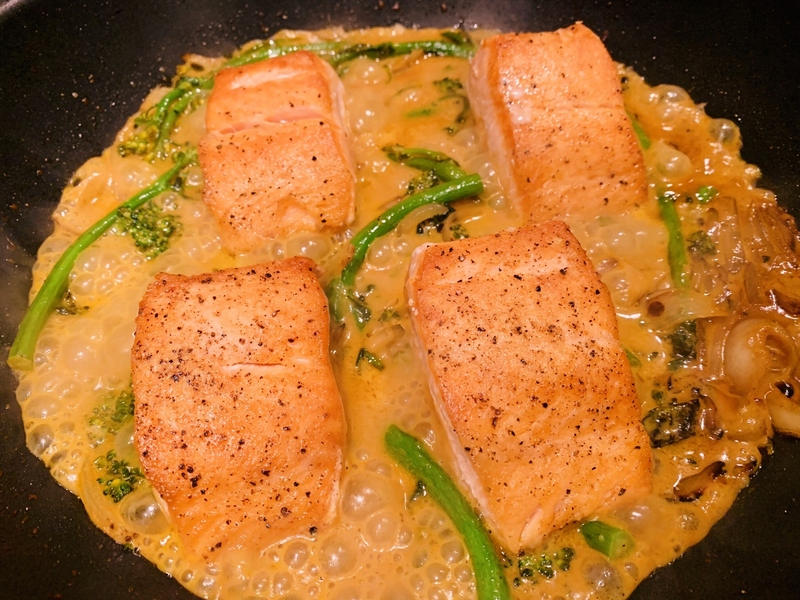 Place salmon on plates and ladle sauce and broccolini over rice. Sprinkle fish with cilantro. Enjoy!